The Wiwi Jury — our in-house panel of music unprofessionals — continues to rate and review the 41 competing entries of Eurovision 2019. Next we check out Armenia‘s singer Srbuk with her song “Walking Out”. Did the song make us want to stay? Read on to find out! Jack: Srbuk managed to surpass my expectations with a track that delivers everything I could’ve hoped for from Armenia. “Walking Out” is a fusion of emotional lyrics, experimental beats, and a classic pop structure, but it’s Srbuk’s raw delivery of the song — which transitions effortlessly from harsh verses to a delicate pre-chorus and bridge — that makes this song special. The eastern instrumentation and blaring horns that perfectly complement Srbuk’s genuine emotional anger and jaw-dropping vocal ability are what give “Walking Out” power and personality. This is a new direction for Armenia and I wouldn’t rule out a top five placing for them. Anthony: They say the early bird catches the worm, but that might not be the case for Armenia since Srbuk’s announcement. While she is serving attitude in the music video, if feels like a spark is missing to push Armenia into title contention. At least the key change adds some oomph going into the final third of the song. The staging and live performance could well make or break their Eurovision hopes. Luis: There are not many choruses out there as strong as that of “Walking Out”. Srbuk belts out a cry of independence and empowerment in that part of the song, but the verses blur the strength of the message. The last minute of the Armenian entry is stellar, and while “Walking Out” has other segments and ideas to be praised, the whole song is not as hot as it should be, judging from the attitude, the vocals and the visuals. This should be screaming “Winner!”, but it only says “Well, I’m fine with a top-ten finish”. Chris: “Walking Out” suffers from the same problem of Armenian Eurovision songs past. Iveta, Artsvik, Aram MP3 and now Srbuk: each has an incredible, Eurovision-winning section of their song. But that’s never delivered throughout their entire song. “Walking Out” at least builds to a dramatic, killer conclusion — which could spare some blushes in Tel Aviv. But it’s looking very much like another case of “what could have been” for Armenia. Julian: To be honest, I had very high expectations of Armenia. Not only because Armenia usually send really good acts but also because Srbuk as an artist was very promising – and so is her recent single “Half a Goddess”. Sadly her song for Eurovision is not that experimental. But after listening more, the song climbed up my top list. If she can deliver live, this one could easily reach the top ten in the grand final. Good job as always, Armenia! Sebastian: If Srbuk has one thing going for her, it’s her absolute killer vocals. And therein lies the strength of the Armenian entry – the song itself isn’t particularly memorable (bar mentioning its title), leaving Srbuk to do all the heavy lifting in this track. If she can match the vocal range delivered in the recorded track, she’ll be walking out of the semis straight into the grand final. Here’s hoping her diction is perfect and ready to pounce on the Eurovision stage. We have removed the highest and lowest scores prior to calculating the average. This is to remove outliers and potential bias. We have removed a low of 3 and a high of 10. The chorus is banging, but the verses aren’t very strong, it takes too long to get me hooked. Good lyrics and really good vocals but as some point out, I can’t remember nothing about this song. That could be a problem in May. The screaming really makes an impact, but that’s all the viewers are going to remember. Don’t get me wrong, I like the song and I think it will qualify, but I’m not sure about the chances Armenia has of placing in the Top 10. Armenia has a very respectable 13th place in my top. Her poor pronunciation makes it impossible for me to enjoy it but it feels like they just gave her this song to show off her vocals, so it doesn’t matter what she’s singing anyway, which is why I can’t connect with it. I think Jack’s review perfectly sums up my opinion on Walking Out. It’s a solid entry with a “Fighter” like attitude. Lyrically, this is the best Armenian offering and as a whole, their best effort since 2016. But, I do share the opinion that “Half a Goddess” was a better Eurovision option than Walking Out simply because it’s more memorable, creative and has a higher mainstream potential than Walking Out. In this case, the “what could have been” for me is …what could have been if Armenia sent Half a Goddess? I’m finding it hard to walk out though. On the review: The music here is better than the performance, so far. Without enunciation issues, this would easily be top 10, IMO. Actually Sacha Jean-Baptiste only worked on stage direction for Iveta. Everything else was done by AMPTV. In 2017, the lighting and the background graphics and costumes were done by Armenians while the staging direction and choreography was done by Sacha. Yeah, she directed those. The visuals by the Armenian team are also amazing and adds up to the whole atmosphere. The problem is I can’t remeber any hook after listening to this song for 5 times. I think you need to make a tab under ‘Reviews’ for Eurovision 2019? I really want this to come off as well live as it does on the recording. This is a barn-burner of a track, an awesome comeback for Armenia after slipping over the last two years (in terms of results, at least – I liked Fly with Me). It’s a great way to open the second semi. Srbuk just needs to nail that live vocal (which ain’t easy but I bet she can do it) and their spot in the final is safe once again. I like the song, but the problem is that it is kinda forced and overloaded. Another problem is that Srbuk’s vocals aren’t the strongest ones. She has time to practice for sure, but the song doesn’t come across as in the studio version. And tbh, I expected Srbuk to send a song like Half A Goddess. I feel like they miss a big chance. This is a decent song. The chorus is powerful , she got some enunciation issues. Not a fan of the first minute. A 6/10 for me. Bad running order leads to one point deduction , the diaspora support adds 1 point leading to a 60% qualification chance In my book. At first listen, I didn’t liked it too much, but after a few more tries the chorus got stuck in my head and the song has been growing on me thereafter. It’s just that that final click is not fully there yet. I do like her vocals and, with the right staging, this will probably qualify. For now, Armenia is my number 17. Strong entry but it sometimes comes across as too pretentious. 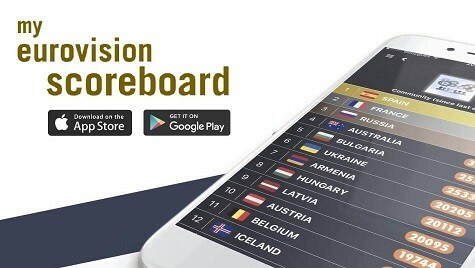 Armenia will qualify to the final most likely. If it’s true she started learning English a month ago, then good for her, but maybe she singing an English-language song isn’t the right choice for her. nice song but i feel like this type of production would’ve worked five years ago. i expected sumthin completely different from srbuk, ironically her promo single half a goddess is 100x better ! also i hate it when they force artists who don’t speak a word of english like srbuk to sing in english, does she even know what she’s singin bout ? juss give her an armenian bop n move on. Am I the only one who loves that key change? Actually…actually haha, I think Iveta has a better control over her voice, but Srbuk has a much much wider range. No offense to any of the previous Armenian artists (some of whom are amazing vocalists like the Sisters, Aram, Iveta, Artsvik and Sevak), but none can hit those high notes. At 24 years old, Srbuk is easily the best vocalist Armenia has sent to Eurovision. This is absolutely a killer entry. Srbuk really serves great vocals and the song is amazing as well. The ‘wait for it’ part is reeeeaaaally good and I already see killer choreo for this. A very deserved 9/10 from me, which could evolve to a 10/10 with the right staging and if Srbuk serves the same vocals live (which I know she can) this will easily finish top 10. “All Fur Coat and No Knickers”. Looks slick and staging will be unreal, but the actual song is not much. Studio version is not that great, song is hard to understand however, Armenia will bring amazing staging, we know this. It will be their staging that qualifies them. I didn’t like the song the first time I heard. It’s slowly grown on me. Looking forward to the live show. Can’t understand a word she is singing. Yeah, I love this! One of my favourites this year. Biggest problem I think will be the live vocals. Again, though….a 3/10 from one of the jurors…you should be saving those for some of the songs that deserve it.